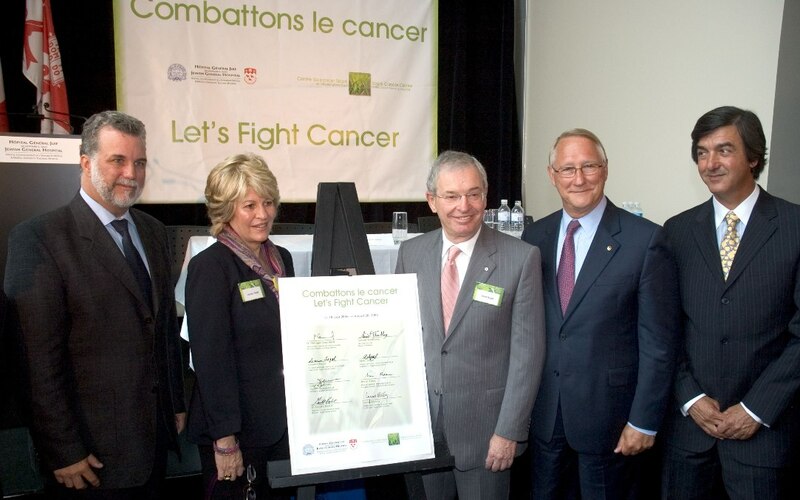 At a 2006 press conference to inaugurate the Segal Cancer Centre, among those who signed a declaration to support the battle against cancer were (from left) Philippe Couillard, Minister of Health and Social Services; Leanor Segal; philanthropist Alvin Segal; Gérald Tremblay, Mayor of Montreal; and Henri Elbaz, JGH Executive Director. 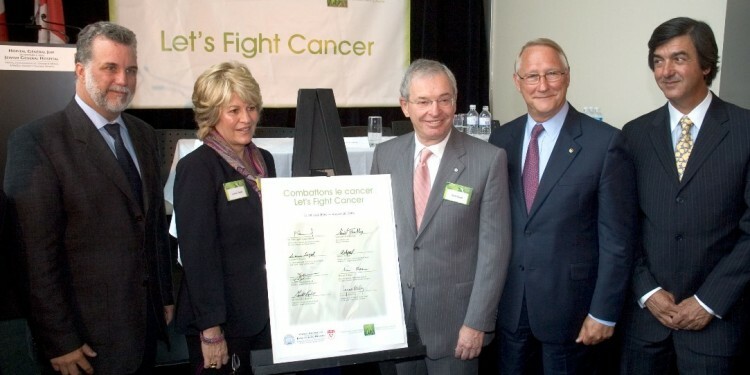 Impetus for construction of the $55.9 million centre came in 2003 in the form of a remarkable $20 million gift from Leanor and Alvin Segal and their family. 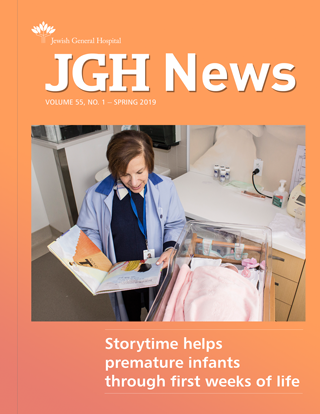 This was followed in mid‑2004 by the provincial government’s $23.9 million commitment, which enabled construction to begin shortly afterward on 8½ new floors atop Cummings Pavilion E. The remaining construction costs were covered by the JGH Foundation and other partners.